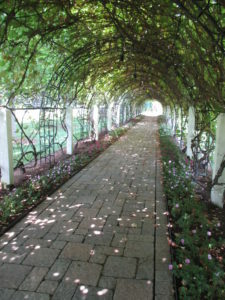 Yesterday some of the grounds staff went on a road trip to two wonderful garden destinations. 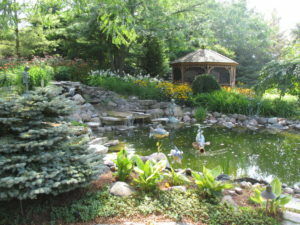 Trevor, Cindy, Marv B., Big John, Larry H. and I had a full day road trip to Waukesha, WI to see the beautiful garden of Dale Sievert (“Mr. 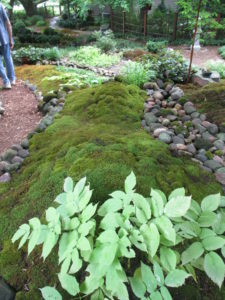 Moss”) and the Christopher Farm & Garden north of Sheboygan. 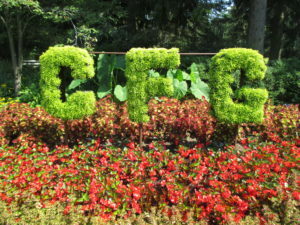 Janice, Nolan and a slew of volunteers held down the fort which we appreciated. 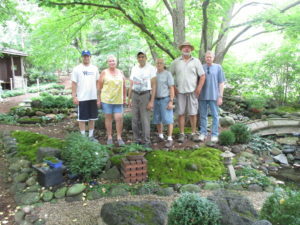 Deb G. brought in four RECAPPERS to help water and I know we also had help from many gardening volunteers as well. 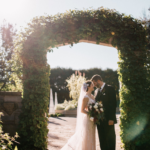 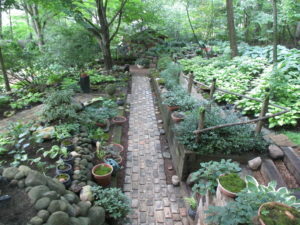 The first set of photos are from Dale’s gorgeous 1 acre garden which is quite amazing from corner to corner! 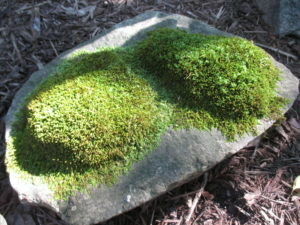 His use of moss is nothing short of spectacular and Dale is one of the nation’s leading proponents in the successful (and creative!) 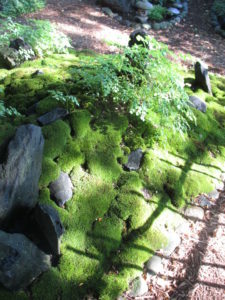 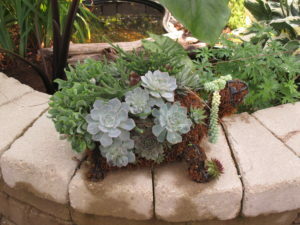 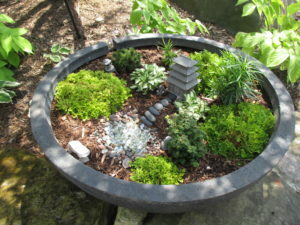 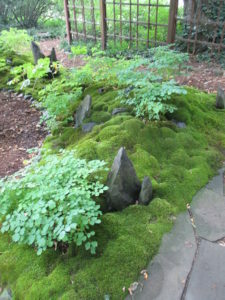 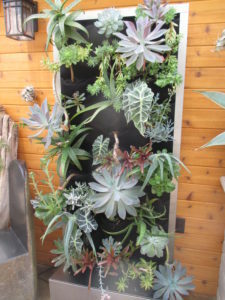 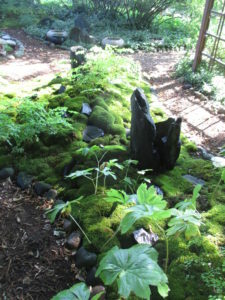 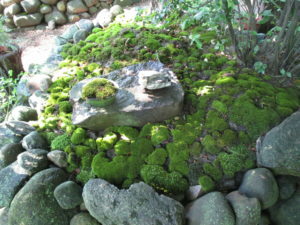 use of moss in the garden. 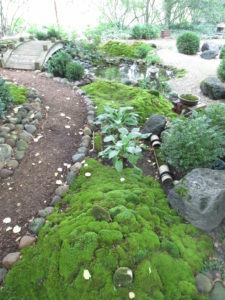 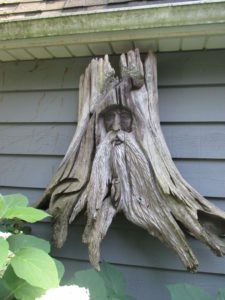 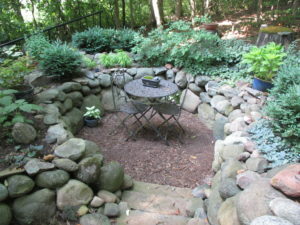 While his entire garden included much more than moss, the painstaking detail and devotion to the space was evident with every turn in the path! 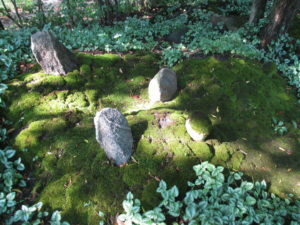 In the photo above, Dale is third from the right. 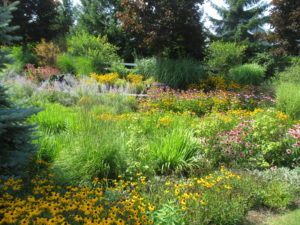 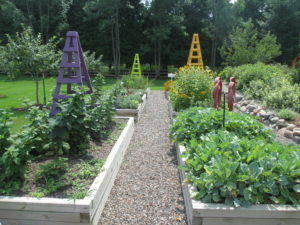 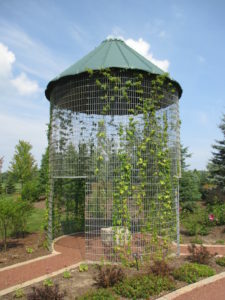 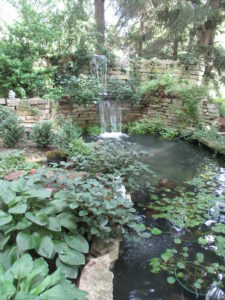 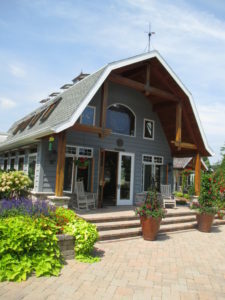 Our next stop was The Christopher Farm & Gardens north of Sheboygan along Lake Michigan. 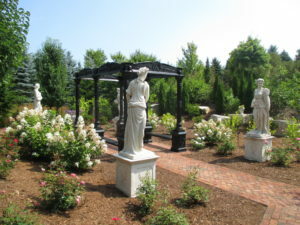 This is a private garden (Jay Christopher) that will periodically allow visitors. 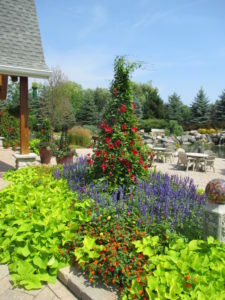 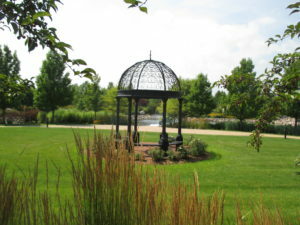 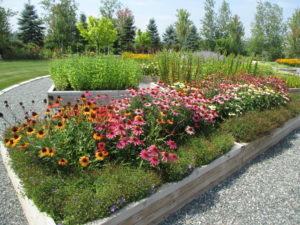 Positioned on a 400 acre site with 1 mile of Lake Michigan shoreline, the 65 acres of display gardens were quite exceptional. 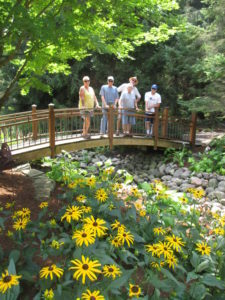 We had a nice 2 hour tour from George who helps manage the grounds and facilities. 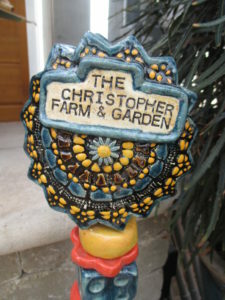 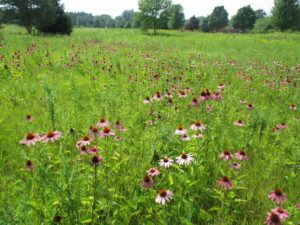 The mission of The Christopher Farm & Gardens is to bring together horticulture, landscape design, education and the arts to inspire an enlighten guests. 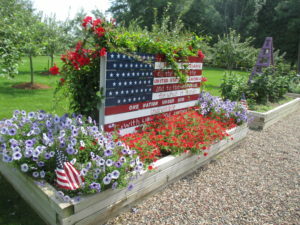 We were all inspired to be sure and appreciate the hospitality!